A diagnostic test based on chromosomal rearrangements can trace the lineage of lung cancer to determine whether two separate lung cancers in the same patient are independent tumors or a tumor that has spread to another region of the lung, a Mayo Clinic study has found. For patients with multiple tumors, that distinction could mean the difference between early stage cancer that may be cured by surgery and incurable late-stage disease. The research is published this week in the Journal of Clinical Oncology. As many as 1 in 5 lung cancer patients are diagnosed with multiple tumors, Dr. Wigle says. 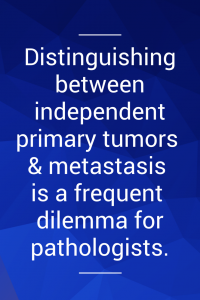 Currently, pathologists can only use comparative morphology to determine whether two tumors are independent primaries or intrapulmonary metastasis. For example, if pathology results from two tumors show that one lesion is a squamous cell carcinoma and the other is an adenocarcinoma, then it is clear they are not related. 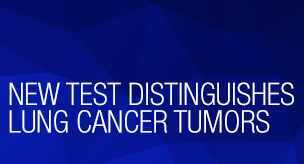 But if both lesions are found to be adenocarcinomas, the accuracy of such determination drops. Clinicians are then left with their best clinical judgment, to help determine whether those tumors represent early stage or advanced, incurable cancer. With the advent of DNA sequencing and other more sophisticated molecular tools, researchers can see beyond clinical features and pathology results to appreciate the genomic alterations that make each cancer unique. Among the most prominent of these abnormalities are chromosomal rearrangements, chunks of genome that have detached and reattached again to bring a new order to the genetic code, says Steven Murphy, Ph.D. a molecular biologist and one of lead authors of the study. Some rearrangements — such as those fusing the EML4 and ALK genes to create the EML4-ALK oncogene — commonly occur in lung tumors. Though the same genes might end up juxtaposed next to each other over and over again, the exact property lines that connect those new neighbors are almost never the same from one cancer patient to the next. George Vasmatzis, Ph.D., director of the Biomarker Discovery Program in the Mayo Clinic Center for Individualized Medicine, and his colleagues began to wonder whether the unique nature of these rearrangements could be used to identify whether or not two cancers were related. To test this approach, they used a special form of sequencing called mate-pair next generation sequencing to identify chromosomal rearrangements in 41 tumor samples. First, pathologists looked at lung tumors that, based on different histologic subtype results, were predicted to be independent primary tumors. They found that those tumors did not share any genomic rearrangements. 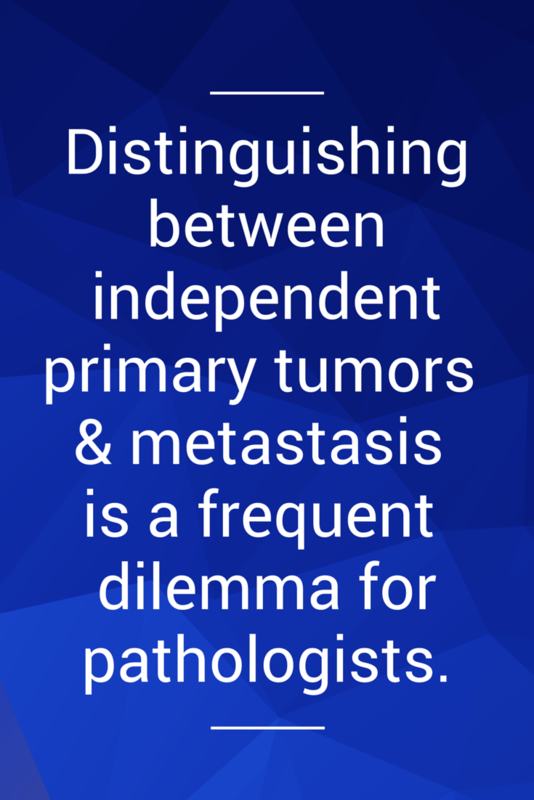 Next, they looked at primary lung tumors and paired distant metastasis that they thought would be related. They found shared identical rearrangements in all those cases. This discovery was then applied to additional lung tumors of similar histologic subtype. Once again, pathologists determined whether these tumors were likely independent primary tumors or intrapulmonary metastasis. The pathologists agreed 82% of the time. The correlation between the pathologist’s agreement and the presence or absence of shared identical rearrangements was perfect and the additional genomic data allowed for a definitive answer when the clinical or pathologic data could not. Co-authors include Faye Harris, Geoffrey Halling, Sarah Johnson, Simone Terra, M.D., Travis Drucker, Michael Asiedu, Ph.D., Benjamin Kipp, Ph.D., Eunhee Yi, M.D., Tobias Peikert, M.D., and Ping Yang, M.D., Ph.D., all of Mayo Clinic. The Mayo Clinic Center for Individualized Medicine funded the study.